Many significant and important change projects fail, a damning fact that has remained constant for decades despite our growing experience with reorganisations, mergers/acquisitions, technology rollouts, and numerous process and quality-improvement projects. And with more complex, more frequent challenges facing us than ever before the need to lead change is growing — but our ability to do it effectively is shrinking because of smaller budgets and fewer people to assign to these critical initiatives. Until a new dynamic replaces the old paradigm of change, most change management projects will continue to fail. Here we share the key learnings from seminars featuring in-demand motivational speaker and change-management consultant Mark Carter on how behavioural science is that new dynamic, one that is giving business leaders and HR professionals revolutionary insights into how employees think, behave and perform their jobs. Successful transformational change relies on persuading hundreds, sometimes thousands of individuals to change the way they work — a shift employees will only accept and support if they can be persuaded to think differently about their jobs. Leadership, change and culture consultant Mark Carter believes you cannot talk about shifting employees’ views on change and not talk about what we know about how the human brain operates. “The brain is involved in every human action, sometimes explicitly involved and other times implicitly, but it’s always involved,” Mark says. Mark points to insights from Daniel Kahneman, the leading psychologist notable for his work on the psychology of judgment and decision-making. “Kahneman breaks down the human brain into the ancient brain, the limbic system and the neocortex — and says it’s in the limbic brain, or subconscious, where 95 percent of decision making is done, Secret Service-style, under the radar. “This is an area of the brain that isn’t necessarily working on the level of conscious, reasonable logic,” he says. the word ‘change’ one person might instantly think, ‘Yes, I love it,’” Mark says. “Another person’s instant reaction might be, ‘I’m not sure.’ That’s OK too because that’s also a natural reaction. “So you see there are two perceptions: positively perceived and negatively perceived,” he says. “Change that involves a solution to a major problem, or a pay rise of 20 percent back-dated six months, will generally generate a positive reaction because the immediate perception is that it’s a welcome change. “But some types of change will generate the opposite reaction,” Mark explains. “Change associated with retrenchments, for example, are never rarely received as positive. In my experience, neither are announcements of significant changes in systems or approach, including technologies, which as we know are quite common in this day and age. Those types of change may be perceived as negative because the implication is that people will have to change what they are comfortable with,” says Mark. We asked Mark how change leaders can use behavioural science to overcome negative perceptions, whether it’s from the 5 percent or 95 percent of the people affected. Mark says the key to addressing dissonance is helping each individual see that what’s happening is not simply change for change sake, but change that involves a solution, or even a necessity. He explains what psychologists now recognise as the distinct stages involved in that process. “The path to adoption often begins with a point that’s characterised by either resistance or resignation,” he says. “In my experience people may often be resistant to change but resign themselves to the fact that’s it’s a fait accompli, that resistance is futile. And that can also be damaging. Does that mean they’ve embraced it? No, not necessarily, and neither does a sense of resignation make change sustainable,” he explains. But what do those next stages look like? “In the workplace, resistance and resignation go hand- in-hand with complacency — a sense that while you may not be completely happy with what’s happening, you’re prepared to go along with it and see where it takes you,” says Mark. What occurs next is, quite often, chaos. “You roll out change and in the beginning a lot of people are often in a state of dishevelment. Maybe they can’t function or they struggle to make a start. “Finally,” Mark says, “you get people to the point where teams have some cohesion, and ultimately a whole new level of competency develops. The return to a sense of complacency is the reason why change is a powerful tool to use in order to continually drive organisations to new levels of competency. Says Mark: “If you look at the psychology of change from the trans-theoretical model, you’ll see that at the beginning of the cycle psychologists use the term pre-contemplation. That is, people don’t know what’s required, and chaos and confusion are usually the order of the day. “Then, as people become clearer about what’s needed, they enter to the contemplation zone where they accept the change and can see its merit,” says Mark. That’s followed by a determination to get going, put the change into effect, action. To summarise, behavioural science tells us there are three stages to effecting sustainable change. “Firstly, be ready that there’s going to be resistance,” says Mark. “Even in a positive environment do not assume that you haven’t got any resistance. Somebody somewhere may well harbor an element of resistance, so you need to plan for it, prepare for it and have some solutions in mind. 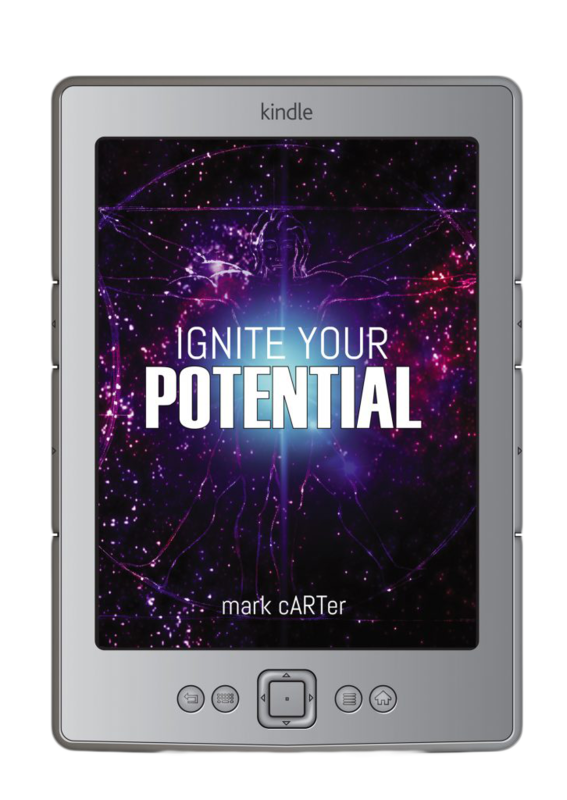 “Secondly, you need to get all individuals through the various barriers to change, and to the point where they accept it.” On this point Mark offers more practical advice. “Just because you’re a change leader and you have very logical reasons why this change or that is all for the better, that doesn’t necessarily mean everyone’s going to see your perspective and take it as their own,” he says. “What I’ve found works is to help those who are resistant or resigned to find a colleague who has already bought into the change, foster opportunities for candid conversations between them and you’ll find those slow adopters will learn from their peers more than they could ever learn from you about why a specific change is a good thing. poses to individuals and their ability, their skills, to rise to that challenge. 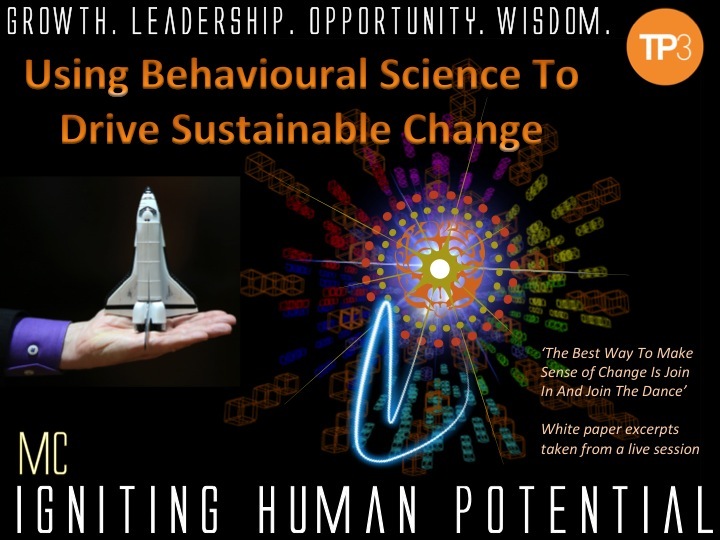 “One pearl of wisdom that change managers and business leaders can find in behaviour science is from the lifetime work into happiness and creativity by Mihaly Csikszentmihalyi, the distinguished professor of psychology, management, sociology and anthropology,” says Mark. Csikszentmihalyi looked at people’s peak performance, from mountain climbers to Olympic sprinters, and made a startling correlation. If you don’t continue to drive the change people will again become complacent and people slip back into their old habits and comfort zones. “Take an Olympic sprinter,” Mark says. “How long does the 100-metre race last? Well, you can count it in seconds and split-seconds, but to the runner who’s ‘in flow’ the race can feel like it lasts minutes, literally minutes. of personal flow is important when it comes persuading and upskilling individuals to change the way they work,” Mark says. “Corporations tend to set goals and track change in terms of progress in meeting those goals. They’re pretty good at stuff like measuring key performance indicators. “But what I find is they don’t always fully consider the correlation between the challenge and the skills required of individuals to meet that challenge. “That’s why I translate Csikszentmihalyi’s flow theory as progress along his two axes: the X axis being the level of challenge facing the individual, and the Y axis the level of skills, or potential for new skills, needed to affect that change,” Mark explains. “Essentially, if the challenge is too great comparative to the skills a person has, what sets in the mind of the individual is resistance, frustration, nervousness, even fright — all manners of anxiety, and certainly not types of feelings that are going to help anyone go through any change. “And even if they make it through, I guarantee you it won’t be sustainable change. “Along the skills axis, the reverse can occur if the challenge can be achieved without too much difficulty. What happens then is that the initial feeling of confidence that comes with the onset of change is soon replaced by boredom, and eventually apathy,” he says. Too many change leaders fail to remind themselves of this balance between challenge and skills, Mark says — and more to the point, they don’t appreciate that the balance is not static, and changes over time and in every individual. “The longer someone works on a new task, the more they’re learning and, as a result, the challenge is always bending,” he says. “Csikszentmihalyi’s flow theory comes into this in terms of the individual being engaged in the challenge, interested in learning a new skill, aroused if you like. “And as we all know, every individual has different preferences in terms of what interests them, and strengths and weaknesses in the skills they have or can develop to meet a particular challenge. “A classic, real-world example of this is presentation skills,” says Mark. “Some people are scared out of their brains to walk into a room and do a stand-up presentation, but to others it’s not that big of a deal. If you ask someone like myself, ‘There are 200 people next door and in 10 minutes I need you to do a talk — can you do that?’ for me that’d be no problem. “Flip that around, and ask somebody like me to sit in a room by myself for a couple of days looking at Excel spreadsheets, and it’s ‘Please, don’t do that to me’ because sitting in a room looking at nothing but numbers for days on end would be a huge challenge for me — while no doubt there are others who would lap that up,” Mark explains. “When setting challenges in any change process, you simply cannot neglect the individual’s skill or mindset that may need to be tweaked if they’re to meet it. If you can’t tie the challenge to a specific, tangible skill that you are going to develop you are wasting your time. It’s not going to be sustainable. “Sustainable change is all about being mindful to constantly balance challenge and skills, not looking at one or another axis in isolation which is often the case, and helping individuals work toward that sweet spot, their personal zone where the change process becomes a blend of learning, performance and fulfilment, or what interests them. “Let’s go back to what I was talking about earlier: presentation skills. It’s a great example because developing a person’s ability to engage with an audience can represent a major change, it’s performance related and the individual learns a new skill that empowers them and gives them confidence. Sustainable change includes being mindful about appropriate levels of challenge and skills. These are a excerpts from a couple of components of a broader live room session. About TP3:TP3 has an unmatched 32 years of experience in learning and professional services with Australia’s largest corporations and government departments.